Rob writes: Just a couple of days after Christmas, Eric and I headed north to participate in a Christmas Bird Count (CBC) in the the Upper Peninsula (UP) of Michigan. This is the route that we took to and from the UP for our 1,500 mile trip. 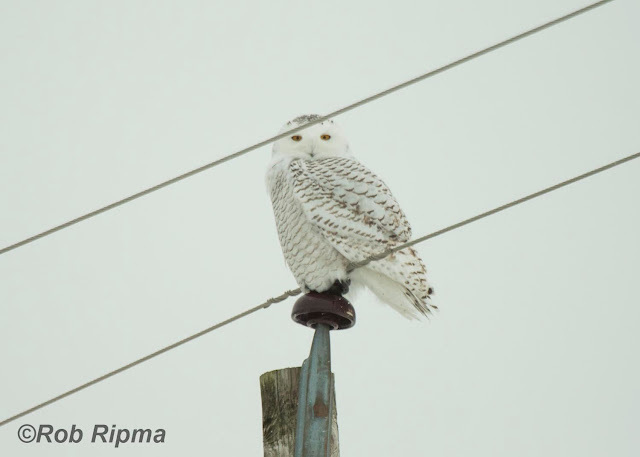 On the way, we met up with our friend Landon in Logansport and took a slight detour to look for the Snowy Owl that had been reported in Wabash, Indiana. We hadn't even arrived at the Walmart where the bird had been reported when it flew across the road and landed on a building just across the street! It was great to find the bird so quickly and be back on the road. 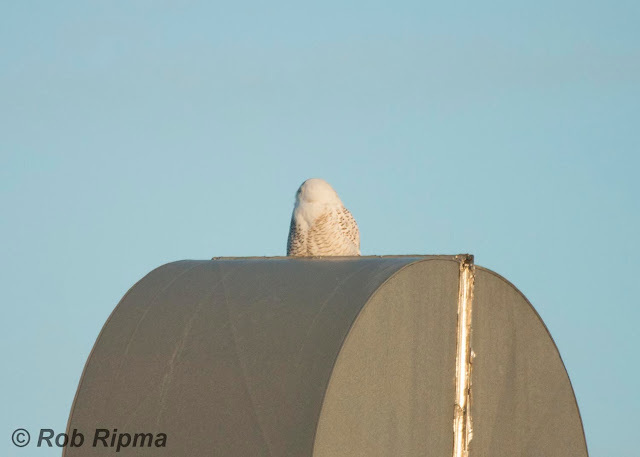 This was the first time that Eric had ever seen a Snowy Owl in Indiana. 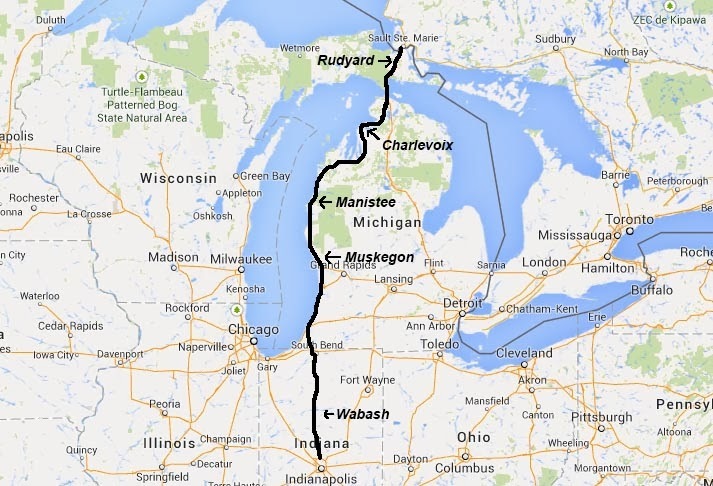 Our next stop was a few hours north in Manistee, Michigan. 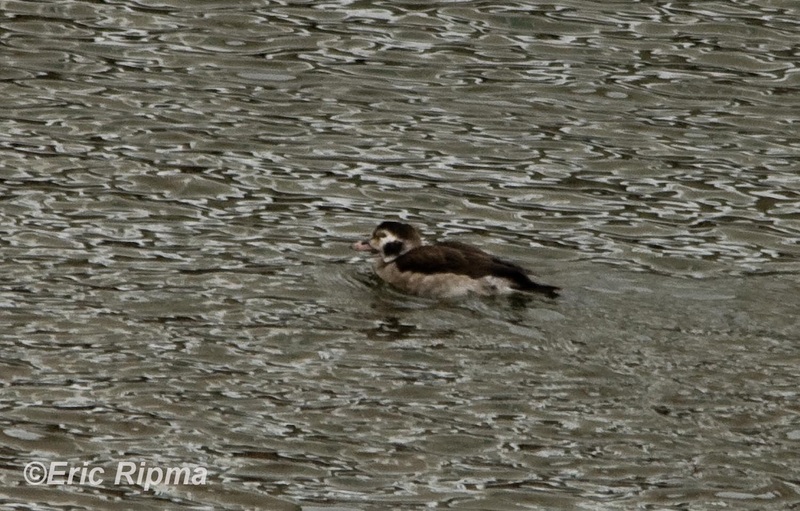 There had been a Harlequin Duck reported along the lakeshore there, but we couldn't find it. As a consolation prize, we had several White-winged Scotors, two Long-tailed Ducks, and a few other waterfowl species. 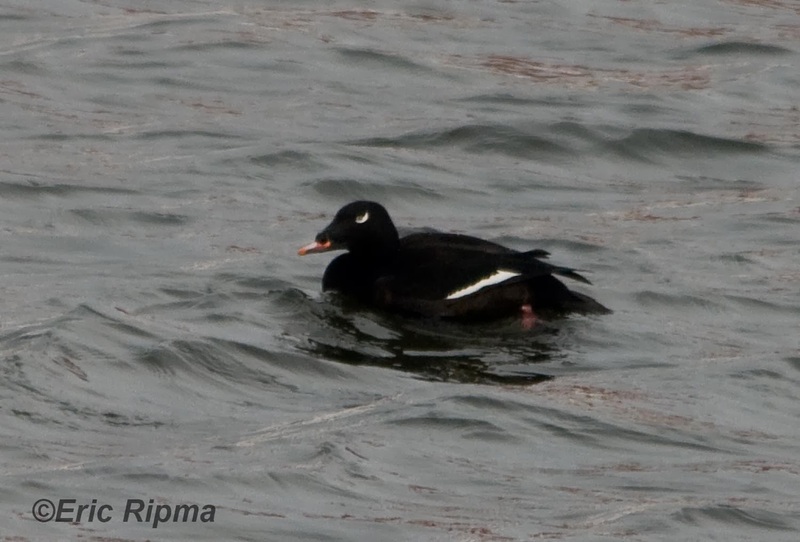 This male White-winged Scoter was one of the highlights of the first day of our trip. We were extremely excited to find two Long-tailed Ducks on the river in Manistee. We hurried up to Charlevoix so that we could search for a reported Northern Hawk Owl, but light was fading fast and we couldn't find the bird. We crossed the Mackinac Bridge in the dark and finally arrived at our hotel in Rudyard after a very long day of birding. I would highly recommend staying at the Northern Country Inn for your birding trips to the UP! It's a small family-owned inn with very clean and comfortable rooms. We spent the next day scouring our CBC circle for birds and didn't end up taking very many photos throughout the day. I really only photographed one species, a Northern Shrike. 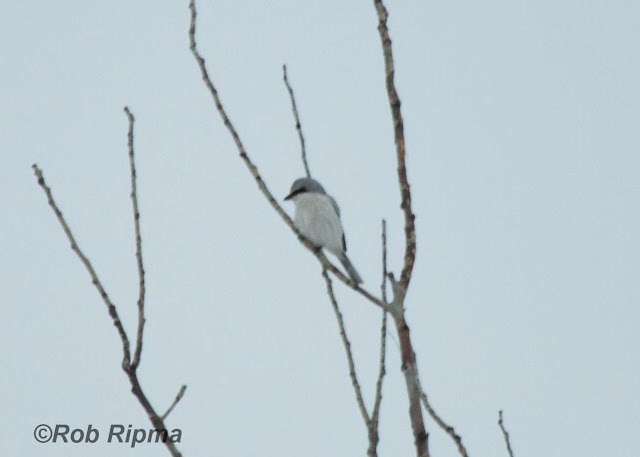 It was great to see so many Northern Shrikes since I don't get to see many in central Indiana. The next morning, we planned to check the river in Sault St. Marie but found it almost completely frozen over when we arrived. We quickly moved on to the Dafter Dump in search of gulls and were not disappointed! Among the many Herring Gulls, we found Glaucous, Iceland and Great Black-backed Gulls. From there we headed back south to search for the hawk owl again. Unfortunately, we struck out for a second time. We made another stop in Manistee and found most of the same species again before driving south to Muskegon for the night. The next morning, we birded right along the shore in Muskegon and found tons of ducks in the open water. The best species was a gorgeous male Long-tailed Duck. Later, we headed to a really interesting birding location. The Muskegon Wastewater System, is a huge property with a variety of habitats available for birding. In order to bird on the property, you have to stop at the Administration Building to get a permit. Once you get the permit, you can pretty much visit any part of the area that you would like. We were there mainly in search of Snowy Owls, and it didn't take long for us the find one. It was very tame and would have been in a great position for photos had a power line not been in the way. The Muskegon Wastewater System property is a great place for finding Snowy Owls during the winter months. After birding the property a bit more and seeing thousands of gulls, a few Rough-legged Hawks and a Northern Shrike, we started our long drive home. The trip was a great way to end the year!